It's feeling like Spring here in Marrakech, and I hope where you are, too. Now Spring is all about new beginnings and that's certainly been the case for me. I have had a big shake up in my life but I am thinking that it is making room for new things! To clear my head, a little trip to the countryside was in order. I love to make my surroundings beautiful wherever I go. So I headed out and I took with me some favorite Moroccan carpets, blankets and cushions from the M.Montague Souk. 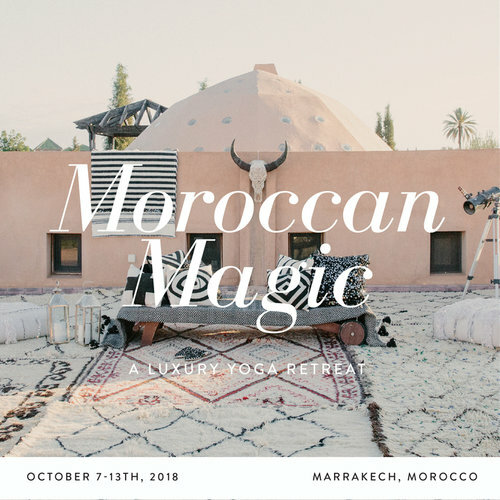 My destination was the Moroccan country home of French photographer Delphine Warrin and her husband Souhail Tazi. They built this place from scratch, incorporating a lot of salvage from the Marrakech souks! Soon everything was looking like Spring, on the inside, too! I adore using Moroccan carpets for non-permanent upholstery. Moroccan rugs are truly the quick fix artists for a whole new look! Here I layered on some of my favorite Moroccan Boujad carpets. These are among the most creative Moroccan carpets in the Moroccan design repertoire. In the living room, I used some of my all time favorite Moroccan sequined kilims and sequined cushions. Very tribal chic! Souhail is an amazing chef and I order from him organic produce every week. He also makes his own organic flour! Souhail made an amazing Moroccan tagine for lunch. We picniced on the rooftop terrace! I layered on the floor some Moroccan Akhnif carpets. These include camel wool and are what the nomads use because they are so hard wearing. I think they are amazing and have such a nice neutral masculine edge. Add in a few neutral cushions, and it's a worthy spot for a picnic! We had a glass of wine (or two!) in a rooftop Moroccan lounge I created just for the day, using some beautiful Moroccan kilims and cushions. What a splash of color!!! 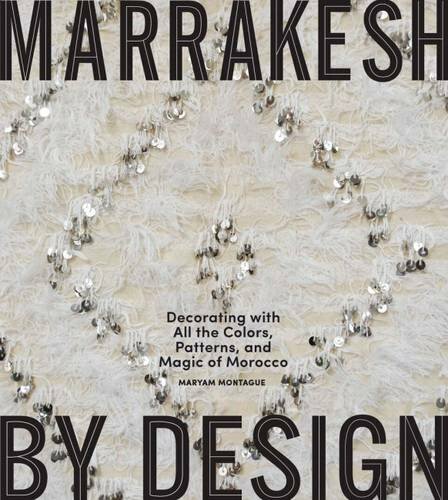 Maybe you are going through some changes of you own and are in need of a little Moroccan color or pattern therapy no matter where you are? To celebrate Spring, I am having a 20% off sale in everything in the M.Montague Souk. But only for 48 hours! Use the code 2020SALE and treat yourself. You deserve it!